ukDEA member Netthings, a provider of energy monitoring systems for homes, is eyeing a move into the commercial sector after successfully closing a £1.2 million funding round. The Edinburgh-based firm will use the financing to sell monitoring and control systems into commercial properties that are too small for building energy management systems (BEMS). Chief executive George McGhee said the company has built a prototype and is already in trials, with one retail company seeing a return on investment payback within four months. “That £1.2m is to help us accelerate, get that through development and into the market,” he said. The theory is that by monitoring usage, bills can quickly and permanently be cut by 10 to 20 per cent. Mr McGhee said Netthings has had a good response from businesses and business groups it has discussed the solution with. “There are a lot of opportunities that we want to explore and the extra funding will help us to do that,” he said. The company also plans to work with resellers for the first time as it looks to break into this market. “The commercial sector has a higher average ticket value and we can get to the market faster with resellers – they will have their own set of customers,” he said. David Ovens, chief operating officer at Archangels, said the company was poised for significant growth in the commercial market. Currently, Netthings’ revenue is derived from the residential sector – including being fitted into new homes through contracts with housebuilders, and with district heating schemes, where a single source supplies energy to multiple buildings or flats. Netthings has teamed up with German energy monitoring firm Ista on this, and Mr McGhee said this relationship could see the company break into international markets. Its products are designed and manufactured in Edinburgh and have been installed in 14,000 properties in the UK. Revenue is currently around £2m and Mr McGhee said the company would break into profitability as a result of this latest funding round. Power giant SSE has pledged to invest £6billion in Scotland over the next three years, with a “significant proportion” of the money earmarked for large-scale infrastructure projects. The Perth-based company made the commitment as it submitted six proposals to the Scottish Government, which is currently drafting its energy strategy. In its submission, SSE said it wanted to “build on the success” of onshore wind in Scotland through “repowering and extending existing sites.” It also wants to maximise opportunities in large-scale pumped storage hydro projects. 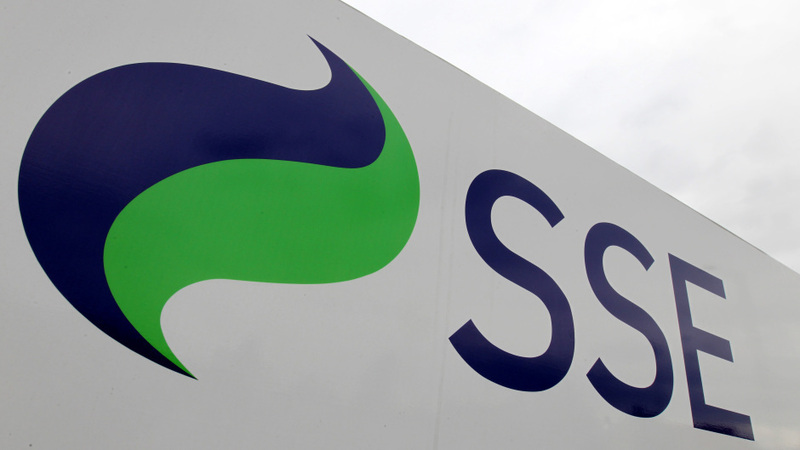 In a statement, SSE, which employs around 7,000 people in Scotland, said: “Having contributed more than £7 billion to the Scottish economy over the past five years, SSE plans to invest a further £6billion in the years to 2020. “A significant proportion of its future investment programme is allocated to large-scale Scottish infrastructure projects including the Caithness – Moray Electricity Transmission line, onshore wind farm projects across Scotland and the 588MW Beatrice offshore wind farm in the Moray Firth. Washington-based Fastflow Group is firing up the property maintenance sector after winning a £20m deal with a national housing association. The firm has sealed a four-year framework agreement to support Genesis, one of the UK’s leading social housing organisations, which serves 100,000 people living in 33,000 homes in London and the east of England. The £20m contract could increase in value, as it allows other housing providers to procure the same services without the need for further tendering. The new deal will be carried out out by Fastflow’s property division DW Support Services (DWSS), which the North East group acquired in 2014 to widen its service portfolio. Operating from Thame in Oxfordshire, DWSS’s deal will significantly boost the group’s turnover, which this year looks set to top £70m. The contract will see the firm maintain existing plant rooms and heating systems and supply new, combined heat and power gas fired boiler systems, renewable heating and smart metering installations. It serves the entire Genesis property portfolio across the South East of the UK. DWSS will be supported by Enerza Solutions, in Luton, a specialist in modern district heating, metering, control and billing systems, securing up to 40 jobs and creating new training and employment opportunities. DWSS managing director Colin McMahon said: “We are delighted to broaden our range of services with Genesis in line with our strategy to provide integrated support to our customers. “We look forward to providing high levels of service, the best possible value and impressing those who matter most – residents in the association’s homes. Fastflow subsidiaries also includes its Pipeline Services Division, also Washington based, which provides water management across networks in the North East and Scotland, supplying almost three million customers. The Warrington-based Energy Services Division, meanwhile, delivers specialist diversion, repair and maintenance projects on the UK high pressure gas transmission networks. MSPs, MP's from the Scottish Parliament, witness shipment of Star Renewable Energy Neatpump to E.ON’s community energy centre at the company’s manufacturing facilities in Glasgow. Star Renewable Energy, part of UK-based Star Refrigeration, has been shortlisted to receive two ACR and Heat Pump Awards at a ceremony on 26 January 2017. The shortlisted heat pumps, based on ammonia, are used in district heating. Star’s Neatpump air source heat pump and its water source heat pump have both been listed in the heat pump product category as 2017 finalists for HVAC&R awards organised by ACR Magazine. Dave Pearson, director of Star Renewable Energy, said, “we are absolutely thrilled to be nominated for the awards, and proud that our sustainable Neatpumps are acknowledged by the industry”. The Neatpumps, as Star calls them, are available in capacities of between 350kW and 8,000kW. They can be used to cool both water and secondary fluids, including glycol. The heat pumps have been installed in a number of locations in the UK to provide cheap heating for homes. The air source heat pump has been used to heat 350 social homes in Hillpark Drive, Glasgow, Scotland. The project was designed in conjunction with Glasgow Housing Association to alleviate fuel poverty for seven existing high-rise blocks, and is one of first community heat pumps installed in the UK. The second heat pump has been used to supply heat and hot water to one of the UK’s largest district heating schemes, in Cranbrook, Exeter, England. In combination with solar thermal panels, Star’s heat pump increases the water temperature to 80 degrees Celsius overnight, when off-peak electricity is cheap, to allow the system to meet peak demand for energy in the morning. The Cranbrook scheme, piloted by E.ON Community Centre, is serving 3,500 new homes as well as 1.4 million square feet of industrial space. “We hope this accolade will increase awareness of the renewable energy options available for residential and commercial projects,” Pearson said. “But mostly, I would like to thank our partners: E.ON Community Centre, Glasgow Housing Association (GHA), WSP Parsons Brinckerhoff, and the residents of Hillpark Drive who all share the same vision of a fuel poverty- and carbon-free heating future,” he said. The winners of the awards will be announced on 26 January 2017 at Birmingham Town Hall, Birmingham in the UK. Councillors have agreed to push plans for a new district heating network (DHN) earmarked for Clydeside to the next level. A meeting was held in Clydebank Town Hall last week for elected members to discuss the proposal, which would see the council put forward a £6 million investment and apply for the Scottish Government to put forward a further £6m to complete the project. West Dunbartonshire Council will have to wait until January to determine if it has been selected for the funding grant but, if approved, work will begin on the Queen’s Quay network as early as next year. The network would initially be expected to serve West College Scotland’s Clydebank campus, the town hall and library, as well as several other developments that have yet to open their doors on the Quay – including the highly-anticipated new leisure centre, which is expected to open next year. However, plans for the 40-year project – which will require the replacement of three water pumps used to make it work once during its lifetime – hope to see it become responsible for heat in the Golden Jubilee Hospital before extending even further to the likes of Clyde Shopping Centre and Dalmuir. If the funding is made available, the council’s director for regeneration, environment and growth Jim McAloon said the project will be “future-proofed” to ensure the possibility of expansion, to which the only limit will be financial costs. Mr McAloon said: “[The Scottish Government] is looking for projects others will be able to learn from and implement in the future and we believe the Queen’s Quay DHN will be that opportunity. Read more on this at Clydebank Post.